High Dividend Yield Stocks have created a niche for themselves. They target a particular set of investors. A peculiar point i observed is that no one talk about the performance of High Dividend Yield Stocks. In the otherwise depressed market, i get feel good factor whenever i see the performance of these stocks as reported by newspapers :). The reason being, they always show a very high dividend yield %. It gives me a feeling of All is Well, All is Well. The analysts pitch these stocks as a retirement planning tool to investors. The 2nd set of scapegoats, sorry the investors are those who are looking for regular returns. Normally, analysts remember these stocks when the market is about to enter into BEAR phase. Indian stock markets kissed bear phase recently. It is not the first and last time. The market always follows the cyclic process. In my opinion, markets will officially enter into bear phase very shortly. 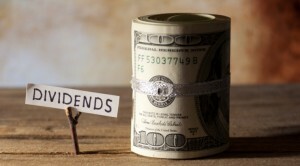 As an investor, i need to understand the concept of the dividend. Secondly, what are the other advantage of investing in such stocks except regular dividend payout? There is a common perception that High Dividend Yield Stocks are basically CASH rich companies. In other words, these are most profitable companies. To clarify this misconception, let me take an example of Investor A and Investor B. Assuming both have 1L to invest. They both invested in Mutual Fund Scheme A. Investor A opted for Monthly Dividend Payout option and Investor B opted for Dividend Reinvestment or Growth option. In this case, Investor A will be cash rich as he is getting the monthly dividend. On the other hand, Investor B opted for dividend reinvestment option i.e. he will reinvest profit for capital appreciation. Can we conclude that Investor A is comparatively successful investor compared to Investor B. If i only check the cash in hand then answer is definitely YES. On the other hand, i can conclude that Investor B is effectively deploying and re-deploying profits to generate long-term sustainable growth for shareholders. As a promoter of the company, i will be more than happy to maintain HIGH Dividend yield. The reason being, i am pocketing the profit from business rather re-investing the same in business. The classic example is of 80% dividend payout by the Indigo to its promoters just before the IPO. In short, the promoters pocketed 80% profits. A layman can conclude that promoters don’t have confidence in their business. When i checked the list of High Dividend Yield Stocks, Interglobe Aviation or Indigo tops the list with 40% dividend yield. Wow, but one of the blogs termed it as profit stripping. Besides Profit Stripping, there can be multiple conclusions. 1. The BEST one is that company is rewarding the shareholders. I agree but it is true if the investment is for a short period. For long-term investment, as a shareholder, i will prefer that the company should invest the profits to grow the company. We will discuss the case of Reliance. 2. High Dividend Yield Stocks means low confidence in the business model. Some of the known names are non-performers. A stock with fabulous returns in the High Dividend Yield Stocks list is understandable. The stock like Coal India in which investors lost 1/3rd wealth in just 6 months is one of the top NIFTY company with a dividend yield of approx 7%. For that matter, NMDC has destroyed the investor’s wealth by 50% in last 1 year. It has topped the chart among known names with 10% dividend yield. 3. Similar to investment, if the company does not know how to deploy cash for future growth means lack of future road map. In short, there is no strategy in place on how to grow the company. The market analysts create a lot of misconception about High Dividend Yield Stocks. There is a common misconception that only highly profitable companies have a HIGH dividend yield. You will be surprised to know that Dividend Yield of India’s most profitable company i.e. Reliance is just 0.97%. The cash reserves of Reliance is whooping 1.63 Lac Crore. The promoters can strip this huge cash pile by declaring divided. In my opinion, Reliance can top the list of High Dividend Yield Stocks. Have you ever wondered why they are not doing that. The answer is very simple, the company has a roadmap for growth. They are investing in new businesses to generate long-term capital appreciation for shareholders. The dividend yield is one of the key pillars of fundamental analysis of the stock. I don’t buy any stock just because it is in the list of High Dividend Yield Stocks. In fact, you should give the least importance to dividend yield. The best way to analyze returns is to add dividend yield to the stock performance. In the examples mentioned above, if i add a dividend yield and stock performance, Coal India has delivered approx -26% returns in last 6 months. The net return of NMDC is -40%. On the other hand, reliance delivered approx 37% return in 1 year and a dividend yield of 0.97% makes its net return 37.97%. As retail investors, the first objective should be not to lose money in the stock market. My question is whether you will select High Dividend Yield Stocks like Coal India and NMDC or Low dividend yield stock like Reliance. The profitability of reliance is almost double of Coal India. I think i need not answer this question. Words of Wisdom: The biggest problem of being an Investor is that we don’t question the existing notions. We don’t check whether they are right or wrong. It is quite sad to read in Newspaper that one of the top notch analysts is recommending High Dividend Yield Stocks. He further added that these stocks are best suited for volatile times. Lastly from a tax perspective, The long term capital gain on equity investment is NIL. In short, if you sell your equity holding after 1 year then you need not pay capital gain tax. If you are planning to invest in equity with the objective of regular income similar to dividends then follow SWP strategy. It is only possible if i invest in the quality stock. Current favorites are defensive’s like FMCG, Pharma and IT. Personally, i quit the market long back and waiting for right time. In my previous post, i shared when i will enter the stock market. Lastly, you should never invest in the stock market because you don’t have any other option to invest like gold or property. Any investment should be backed by logical reasoning else i prefer arbitrage funds for parking the money.